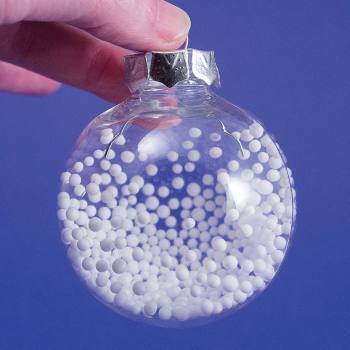 Static Electricity Electroscope, Electricity & Magnetism: Educational Innovations, Inc.
We're all familiar with the static charges that occur when we remove a wool sweater, but detecting and measuring static can be a bit tricky. Now you can visually demonstrate the presence of a static charge with this classic flask electroscope. Simply place the two aluminum ribbons onto the hook inside of the flask. If a static charge is nearby, the two ribbons will repel away from each other. The stronger the charge, the more the ribbons separate. Charged objects do not need to touch the flask at all. Simply bring them near the insulated metal platform to observe the effect in action. Test different materials for their static potential. Does darker hair create more of a static charge than lighter hair? What happens if you rub your feet on the carpet on a dry day and then bring your hand near the electroscope? 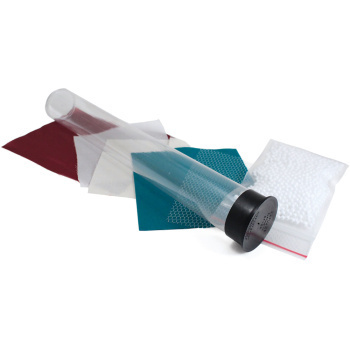 Includes glass flask, stopper, rod, aluminum ribbons, and activities. (Not intended for use by children under 12.) Total height is approximately 18 cm (7.5") About 8.5 cm wide (3.25") at the base. *Not intended for use by children under 12 years of age. *Teachers may choose to use this device for demonstration purposes only. 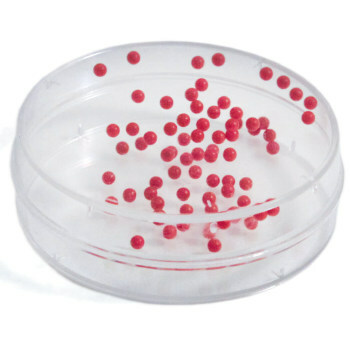 Students can use the Static Electricity Electroscope in an investigation to determine the relationships among the energy transferred, the type of matter, the mass, and the change in the average kinetic energy. Students can use the Static Electricity Electroscope to plan and evaluate competing design solutions using a systematic process to determine how well they meet the criteria and constraints of the problem. 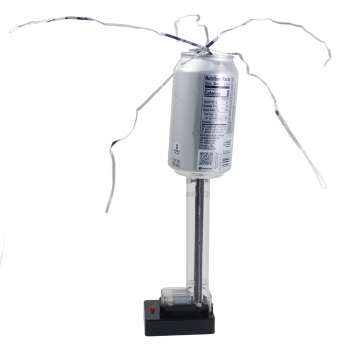 Students can use the Static Electricity Electroscope to design, build, and refine a device that works within given constraints to convert one form of energy into another form of energy. 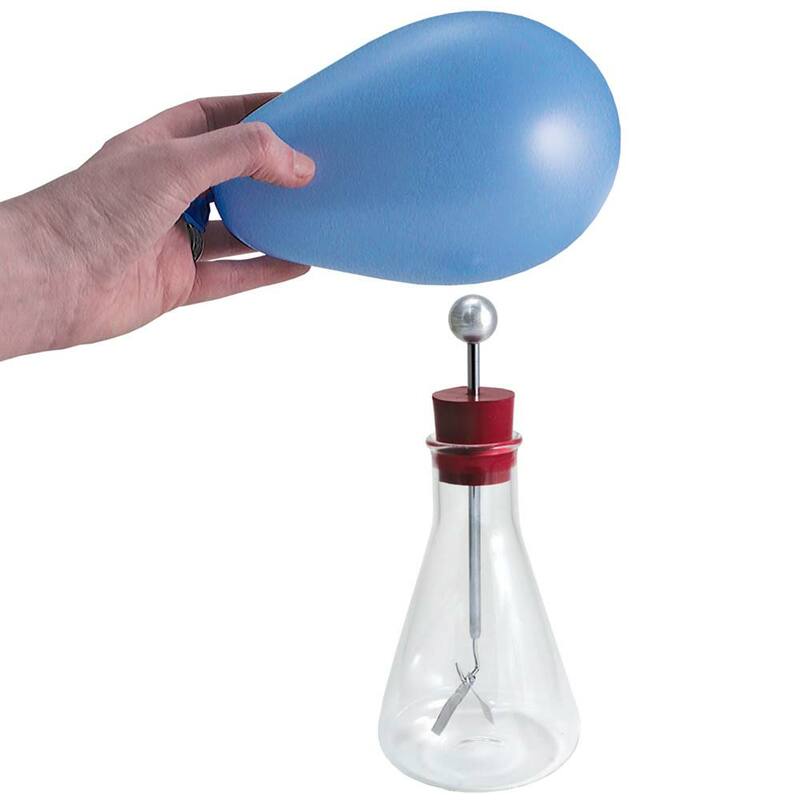 Visually demonstrate the presence of a static charge with this classic flask electroscope. The two aluminum ribbons on the hook inside the flask react; they will repel away from each other. The stronger the charge, the more the ribbons separate. Test different materials for their static potential. The variables are endless and offer lots of inquiry.